Shreyasen & Anr. vs. Union Of India & Ors. “The petitioners challenge Rule 12(3) of the Income Tax Rules as being violative of Article 14 of the Constitution. Mr. Satya Pal Jain, the learned Additional Solicitor General of India appearing on behalf of the respondents/ states that the time for linking the Aadhar card with PAN Card has been extended up to 30.06. 2018 and as a result thereof the system would accept the petitioner’s return without the Aadhar Card. In view thereof, it is not necessary to consider the application for interim relief at this stage. The notification tendered by Mr. Jain is taken on record and marked. “X” . Issue notice of motion returnable on 10.05.2018. “Counsel appearing for the Revenue urges that the interim order made by this Court has to be seen in the context of the directions of the Supreme Court in Binoy Viswam Vs. Union of India, (2017) 7 SCC 59; especially in para 133, which by and large, upheld the validity of Section 139AA of the Income Tax Act, 1961 (hereafter “the Act”). The para under consideration is granting limited relief as has been given by the larger Bench judgment delivered by Nine Judges. Attention of the Court is also invited to the order of Five Judges, who were parties to the Nine Judges’ Bench decision in the case of Justice K.S.Puttaswamy (Retd) vs. Union of India (2017) 10 SCC 1. 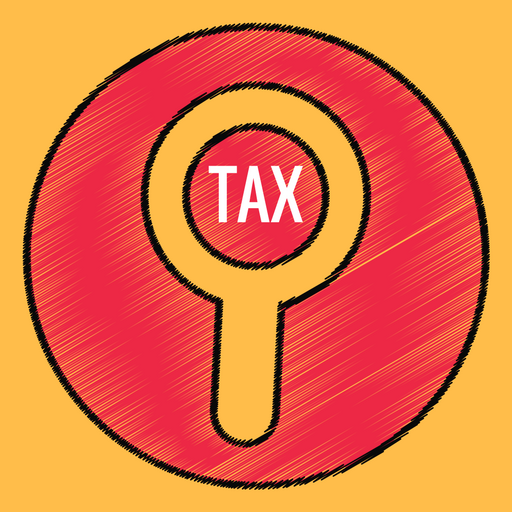 It is therefore urged that the CBDT’s circular relied upon by the petitioner is contextual and compliant of Section 139 AA of the Act is the norm. This Court has considered the submissions. When Binoy Viswam (supra) was decided, the Court was conscious of the issue as to whether the fundamental right to privacy existed or otherwise was moot; the Larger Bench of the Judges is seized of the reference. Consciously, therefore, Binoy Viswam (supra) had not only upheld the validity of Section 139 AA of the Act but also added a note of caution that the consequences spelt out under Section 139AA(2) of the Act would not be presently visited with respect to those assesses who are not Aadhaar Card holders and do not comply with the mandate. The Five Judges (who were part of the Bench) merely reiterated those observations when the judgment was pronounced by the nine Judges. If the CBDT’s circular dated 27.03.2018 is noticed in the background of these circumstances, there is no room for doubt that the time for linking PAN with Aadhaar has been extended to June 2018 in its expressed term. The Court, therefore, sees no reason to vary its previous order. The returns filed by the petitioner shall be expedited and processed in accordance with law subject to the outcome of the decision in WP(C) 494/2012 and connected matters. Writ petitions are disposed of in the above terms. Pending applications too are disposed of. Having considered the parties’ submissions and the material on record, this court is of the opinion that a similar direction as in the case of Mukul Talwar (supra) is warranted in this case. Accordingly, the petitioners shall be permitted to file their returns, for AY 2018-2019, without any insistence of linkage of their Aadhar and their PAN numbers and without instance of production of their proof of Aadhar enrolment. In case the returns are filed within the time prescribed by law, without such linkage, they shall be processed in accordance with law and in accordance with CBDT circular dated 27.03.2018 as extended on 30.06.2018. Enrolment ID: An individual who is residing In the state of Assam, Jammu and Kashmir and-Meghalaya. An individual who is a non-resident as per the Income-Tax Act, 1961: .An Individual of the age of 80 years or more at any time during the previous year. An individual who is not a citizen of India. For all other, it is mandatory. In case, you have any reservation on this aspect; you may approach the Judiciary for specific relief from application of the above provisions of law. This court is of the opinion that at least for the period till 31.03.2019, the CBDT shall issue an appropriate direction, and also create a platform by amending the digital form of substituting them properly to enable “opt out” from the mandatory requirement of having to furnish Aadhar Registration or Aadhar linkage, for the duration, the exemption subsists i.e. till 31.03.2019. In view of the aforesaid directions, the writ petition is disposed of. Copy of this order be given dasti under signatures of Court Master. This entry was posted in Sec. 139AA, Section 119 and tagged 407 ITR, Aadhar for filing return, Delhi High Court, In favour of Assessee.